Announcement When most people talk about cajons, they usually refer to the peruvian box-like instruments that have cluttered every part of the internet. 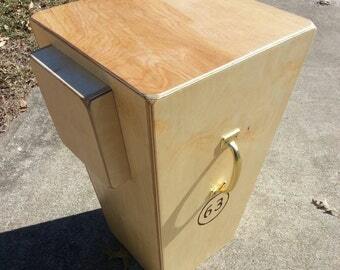 Most people don't realize that cajons also come from Cuba and they are different in terms of size, shape, and sound. This is the unexplored region of cajons, and whether you are a person who frequently deviates from the norm or is content with the status-quo, these are the drums for you! When most people talk about cajons, they usually refer to the peruvian box-like instruments that have cluttered every part of the internet. 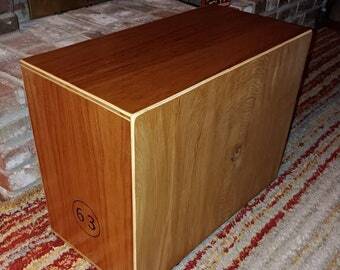 Most people don't realize that cajons also come from Cuba and they are different in terms of size, shape, and sound. Yo Miko! I received the drum in the mail. Got it on my birthday! What a beautiful drum. It plays really well. The low end is punchy and it shakes the room. The slap and tones on the drum are clear and crisp. I love how powerful and sensitive this drum can be and with how dry it is, I think this is going to be versatile drum. This is the final voice I’ve needed to complete my sound. I’m using it along with 2 congas and a cowbell and shekere with my feet. Thank you for the great craftsmanship and research you’ve put into making these drums. Also, thanks Andrea/Miko for fast communication and shipping. Peace and Love! 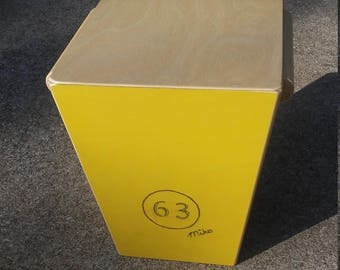 Rumba Cajon: the unexplored regions of "cajonery"
I searched and searched all over for tumba cajons that made sounds like I heard on numerous recordings like "Rumberos De Cuba" and "Clave Y Guaguanco". After becoming very frustrated with the mass produced garbage out there (and spending an undisclosed sum of money in the process), I realized that the only way I could recreate that sound is by making Tumbas myself. After researching the tools needed, I bought a used table saw for $50 and wood clamps. My first attempts were laughable. I kept on and kept on for a whole year until I got it right. I remember when I first made the tumba with the sound I had been dying to recreate; it was a feeling I cannot describe with words, only emotion. Now I bring this authentic sound and craftsmanship to you. I use only the best quality materials for every drum. Other woods like oak and maple can be requested, as well as colors for stains. Hi my name is Andrea and I am the wife of Miko Spears. Without me, his head would roll off his shoulders. I am his CEO as well as his boss. I call the shots around here by telling him to get downstairs and make some more cajons! !